1. Gautier S.V., Moysyuk Y.G., Ibragimova O.S. Organ donation and transplantation in Russian Federation in 2009. 2nd report of National Registry. VESTNIK trans- plantologii i iskusstvennyh organov. 2010; 12 (3): 6–15 (in rus). 2. Gautier S.V., Moysyuk Y.G., Khomyakov S.M., Ibragimo- va O.S. Progress in organ donation and transplantation in Russian Federation in 2006–2010. 2nd report of National Registry. VESTNIK transplantologii i iskusstvennyh or- ganov. 2011; 13 (2): 6–20 (in rus). 3. Gautier S.V., Moysyuk Y.G., Khomyakov S.M., Ibragi- mova O.S. Organ donation and transplantation in Rus- sian Federation in 2012. 4nd report of National Registry. 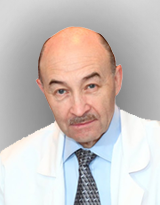 VESTNIK transplantologii i iskusstvennyh organov. 2012; 14 (3): 6–18 (in rus). 4. International figures on donation andt ransplantation– 2011. Newsletter transplant. 17 (1); September 2012: 33–64.